Disconnect the engine harness connector (1) and harness fasteners (2) from the engine harness bracket, attached to the thermostat housing. 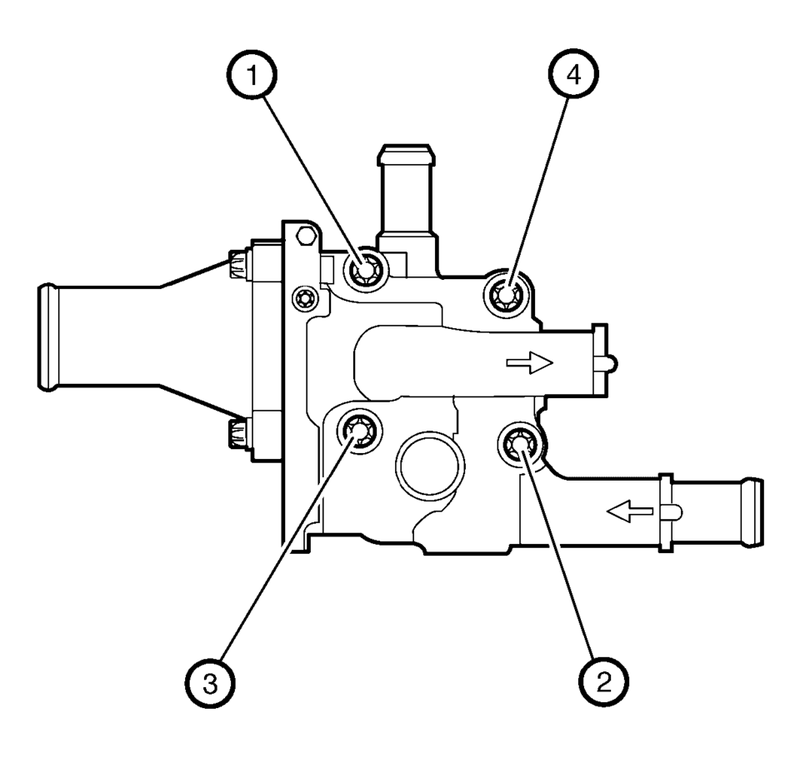 Disconnect the throttle body heater inlet hose (1) and the electrical connectors (2) from the thermostat housing. 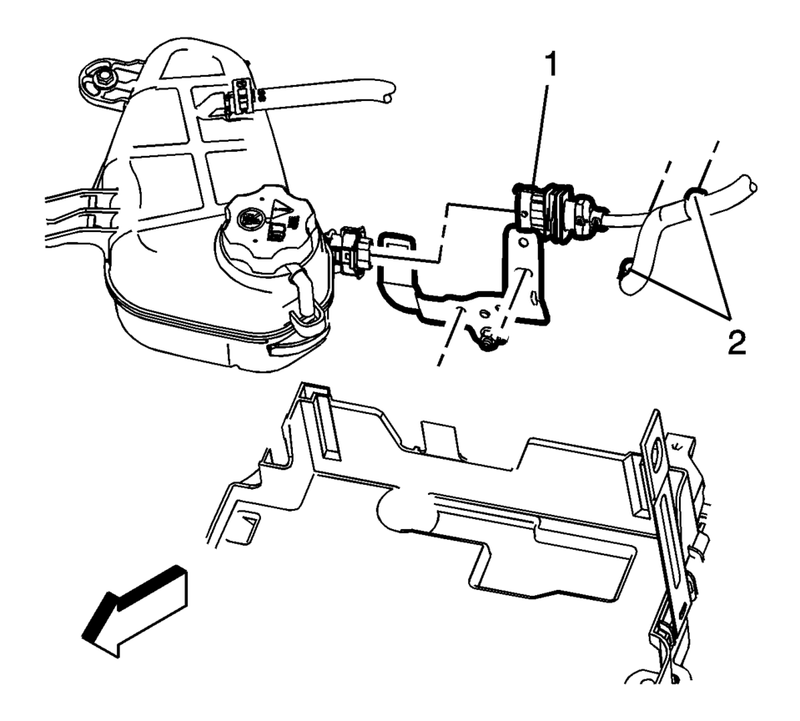 Remove the engine harness bracket nut (3) and bracket (4) from the thermostat housing. Remove the radiator inlet hose (2) from the engine coolant thermostat housing. 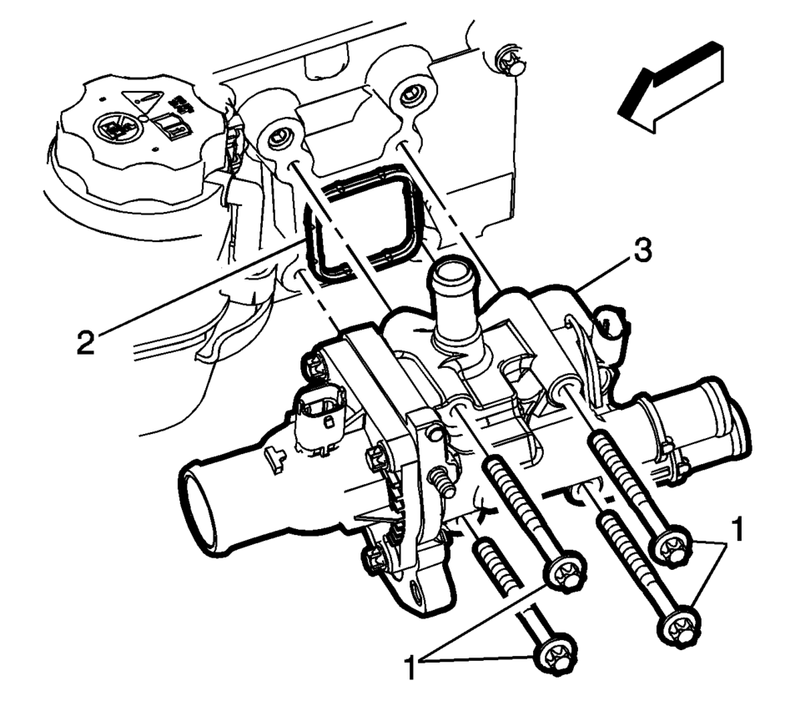 Remove the heater outlet hose from the engine coolant thermostat housing. Refer to Heater Outlet Hose Replacement. Remove the heater inlet hose from the engine coolant thermostat housing. 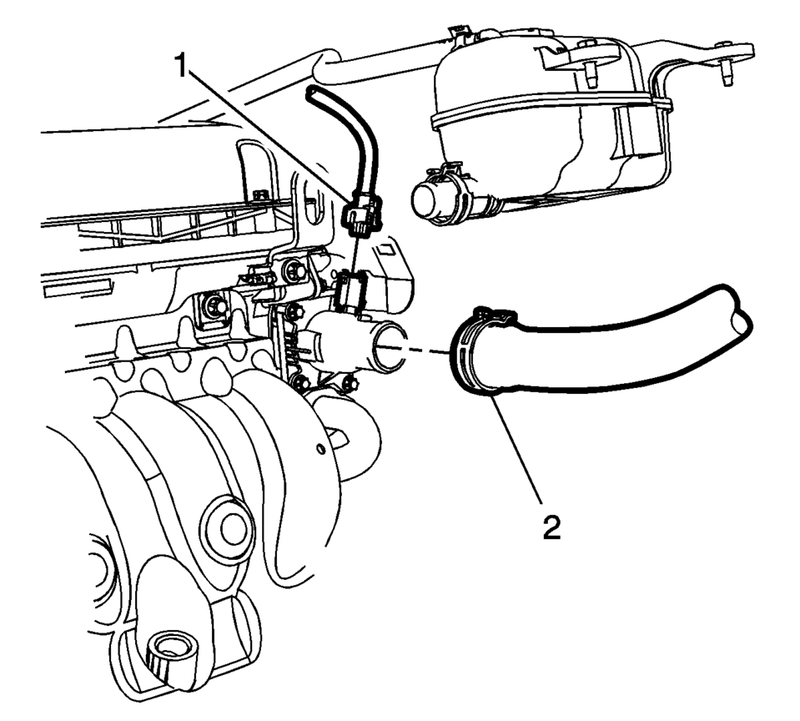 Refer to Heater Inlet Hose Replacement. Remove the engine oil cooler outlet pipe bolts (1). Remove the engine oil cooler outlet pipe (2) from the engine coolant thermostat housing. 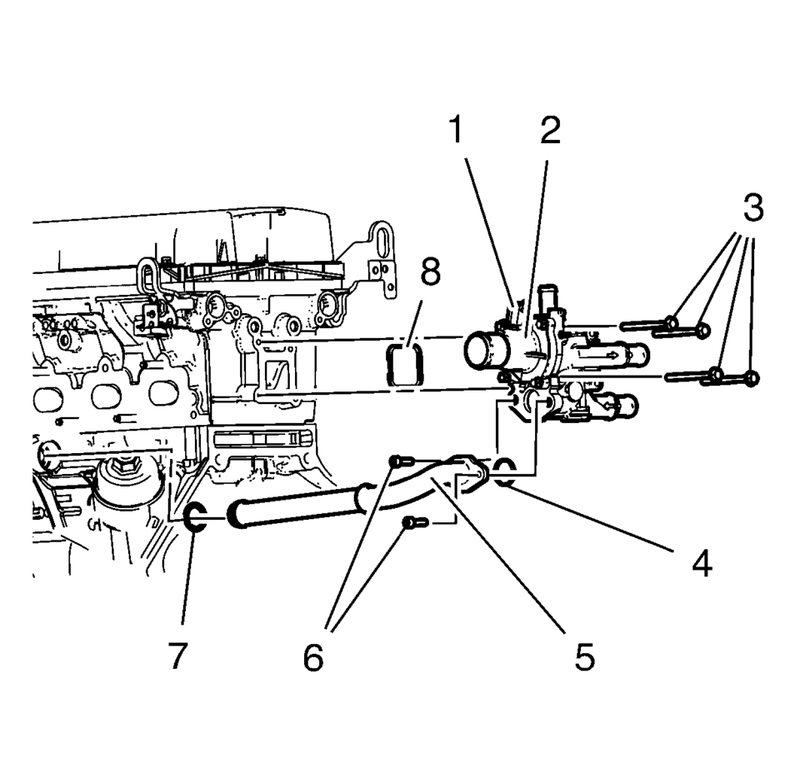 Remove the engine coolant thermostat housing mounting bolts (1) and discard the seal (2). Remove the engine coolant thermostat housing (3) from the engine. Install a NEW engine coolant thermostat housing seal (2). Loosely install the engine coolant thermostat housing mounting bolts (1). Following the proper fastener tightening sequence and torque is essential. Failure to do so may fracture the thermostat housing. Install NEW engine oil cooler pipe seals (4, 7). Push the engine oil cooler pipe into the engine oil cooler. Install the engine oil cooler pipe (5). Install the heater inlet hose to the engine coolant thermostat housing. 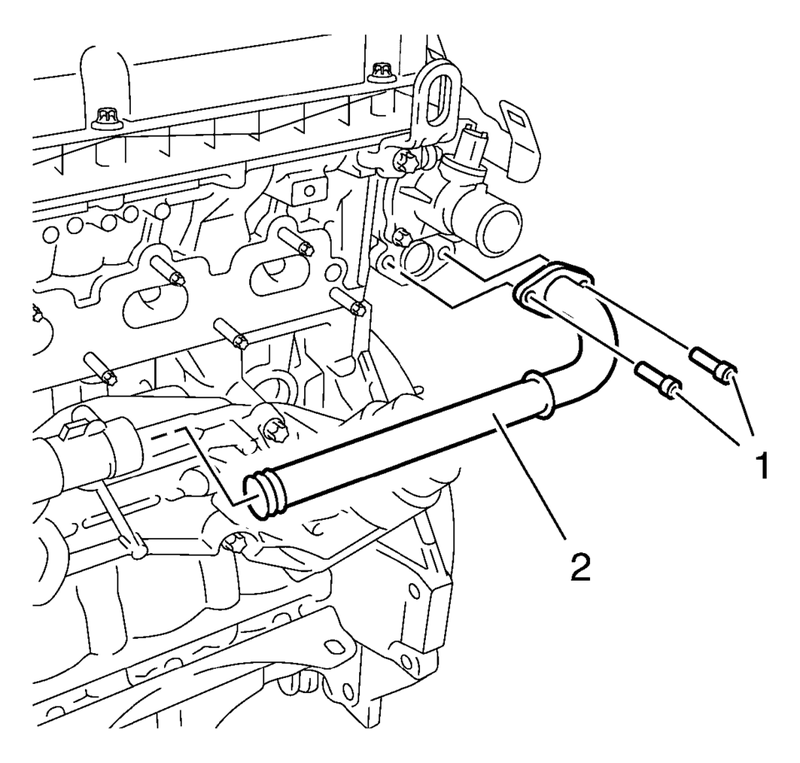 Refer to Heater Inlet Hose Replacement. Install the heater outlet hose to the engine coolant thermostat housing. Refer to Heater Outlet Hose Replacement. Connect the electrical connectors (2) to the engine coolant thermostat housing. 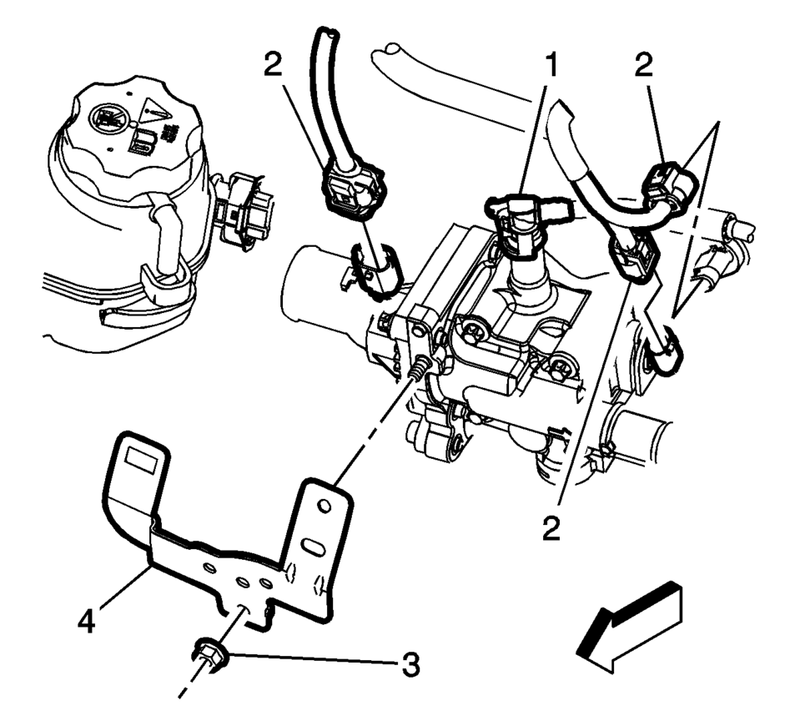 Install the throttle body heater inlet hose (1) to the engine coolant thermostat housing. Install the radiator inlet hose (2) to the engine coolant thermostat housing.